The stable was converted into a guest/pool house with a homeowner-designed built-in bed and a bath conceived as a “tenuous enclosure” by Fung+Blatt. 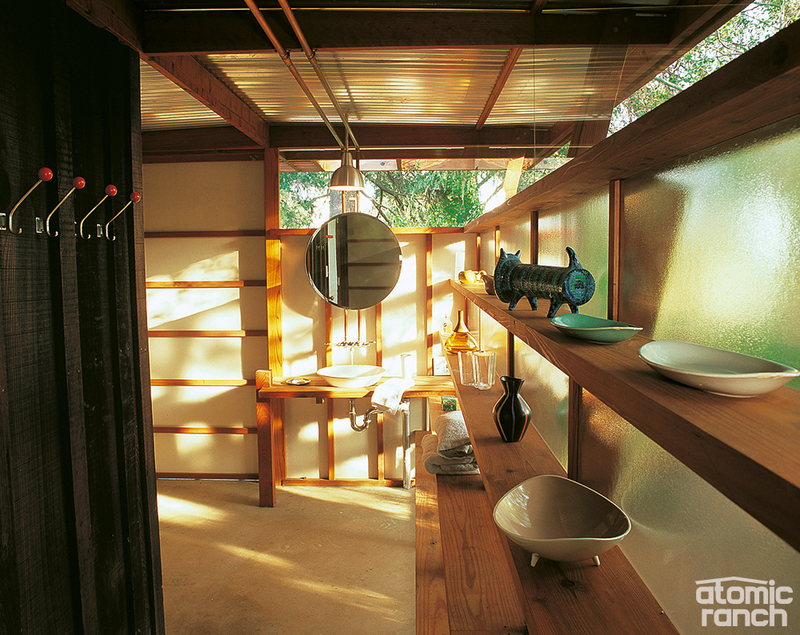 The architects used recycled materials—glass, corrugated steel and redwood for the project. 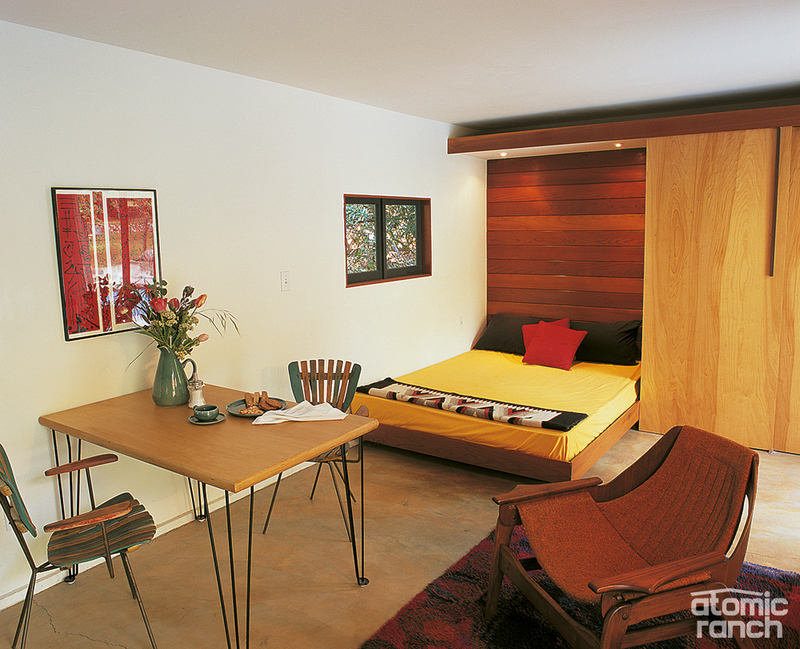 As a child circa 1968, Peter lived in an Eichler in the Bay Area, a home he found to be very Japanese in design and long lasting in its impact on his taste. As an adult, he really became interested in architecture when he and Irmi went to Vienna. Showering in the long, narrow pool house bath is close to an outdoor experience with its clerestory windows and translucent glass shelf wall. But Irmi counters, “When we have guests from Europe, they’re always completely into the thin construction; it’s something that they find very beautiful. “Being able to go outside from every room makes this house wonderful,” she continues. “Growing up in Vienna we lived in the third district very close to downtown. There are few houses with gardens, and most people live in apartments; you can only experience green if you go to a park.